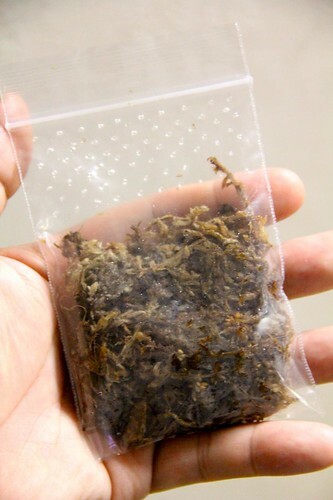 I placed the Pawpaw seed I want to grow into moist sphagnum moss... which I then placed in a plastic bag and poked several small holes on top. I'll refridgerate this for some time before I'll grow it. I read that it must receive a 90 to 120 day stratification.